Looking for perfectly painted nails? Super shine and super strong? Then you need to try Jessica Geleration. Dannie Lea Hair & Beauty are one of the first salons in York to offer this amazing new gel polish. Geleration soak-off gel polish has a long-lasting, flawless finish that’s dry in seconds, and is a perfect on-going solution for those who need a hard-wearing polish. The all new Jessica Geleration polish is a great way to have a Beautiful high gloss polish that protects the nail without damage. So you’re able to Work and Play hard whilst keeping your nails looking at their best. Jessica Geleration was created with the health of the natural nail in mind offering weak, bitten or problem nails the opportunity to grow. One professional application will last for up to three weeks without chipping or fading, and needs no touch-ups. What’s more it dries in seconds, so there’s no waiting – you’re ready to get-up & go as soon as the colour’s on!. Our trained Therapists offer a selection of Jessica Natural nail treatments in our beauty salon. 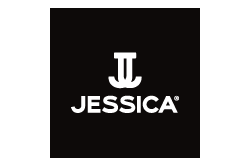 Why not treat your hands and feet to one of our luxury Jessica treatments.